This restaurant also have non-seafood dishes; beef, chicken, pork, noodle, eel, poridge, and rice. So don’t worry if one of your companion can’t eat seafood, he / she still can enjoy other food. 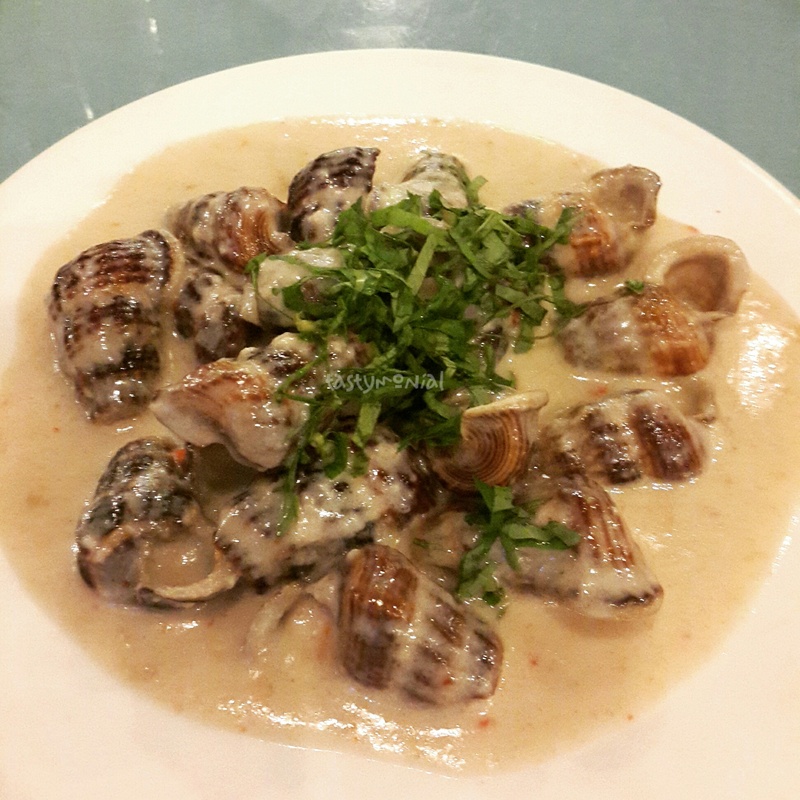 They have many kind of snails and clams, cooked in many ways. Their menu has English translation as well, so it’s very easy to order. Some of the dishes also have picture on the menu. I will share with you all of the food I ordered here. This one is delicious. 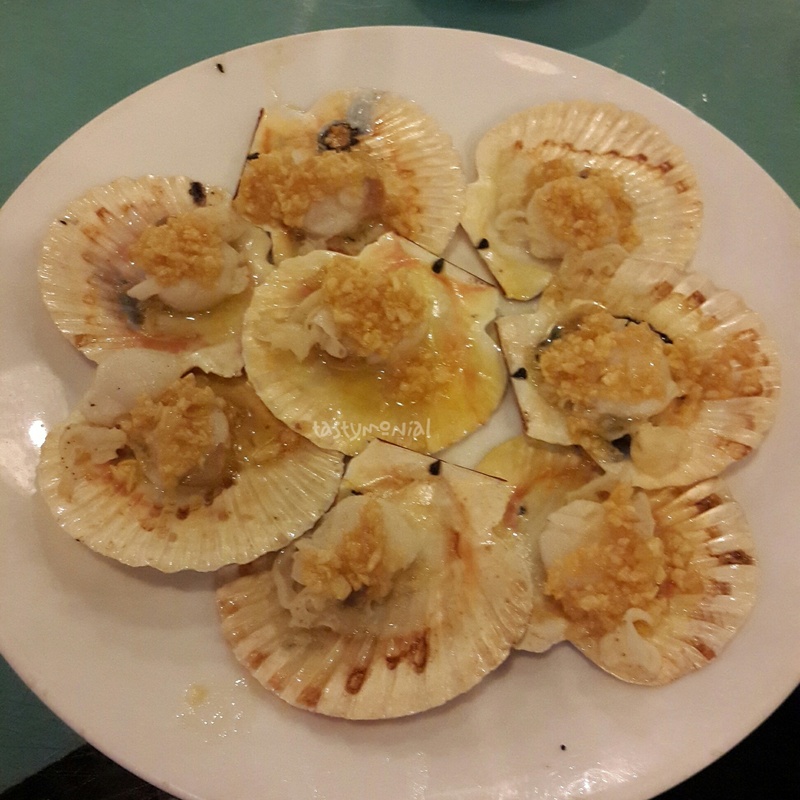 The blood cockles are bigger than the one I ate before in other restaurant. What is better than a garlicky food with juicy blood cockle?! Many lol, but this one is not to be missed out. This one has a seasonal price, so you better check it first before make the order. We didn’t check it and was very surprised with the price but no complaint. Because it’s good. 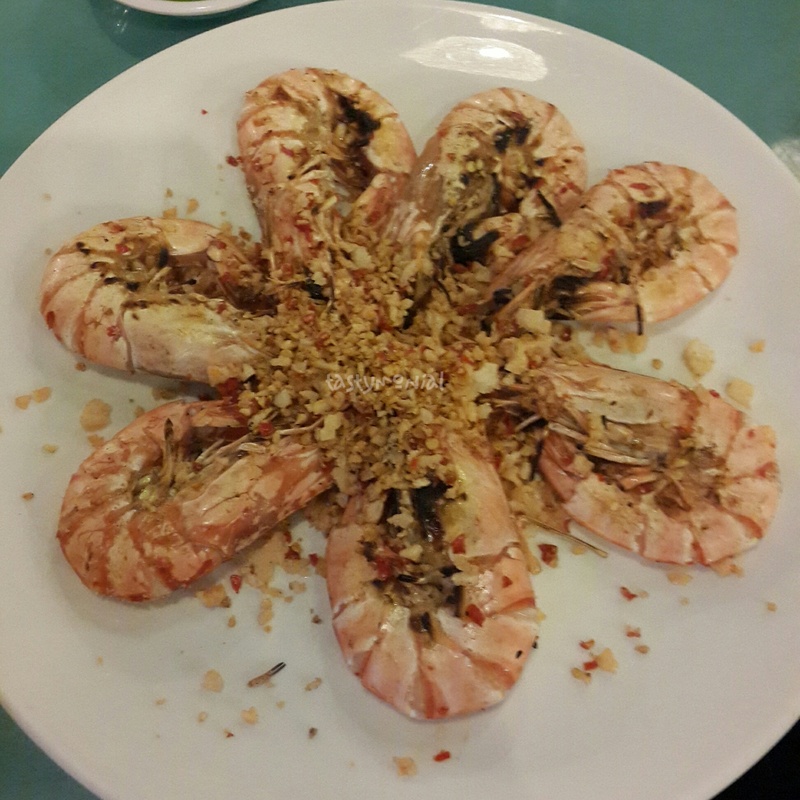 This prawn is very delicious, with a pinch of crystal salt and chili. I can’t stand the chili though, too spicy for me. Normally I don’t eat prawn because I don’t really like their taste, but for this one I have no problem. Another one I recommend is this squid. 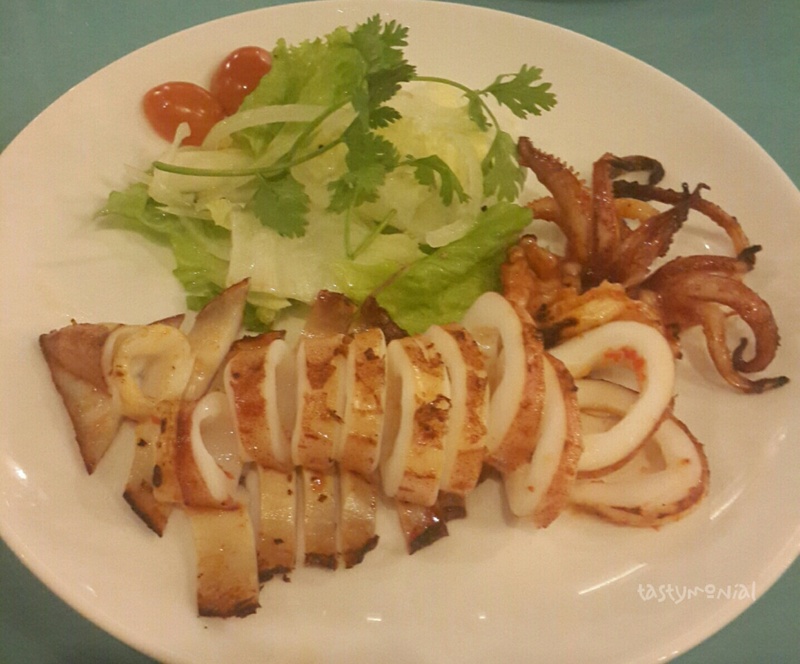 They cooked it in time so the squid still soft and not chewy. The seasoning also done well. If I didn’t worry about my cholesterol level I would ate this more 😦 Soooo finger-licking good! Vietnamese people likes grilled oyster with cheese. I saw many table ordered that dish. On my 2nd visit here, my guest ordered it as well but I didn’t. 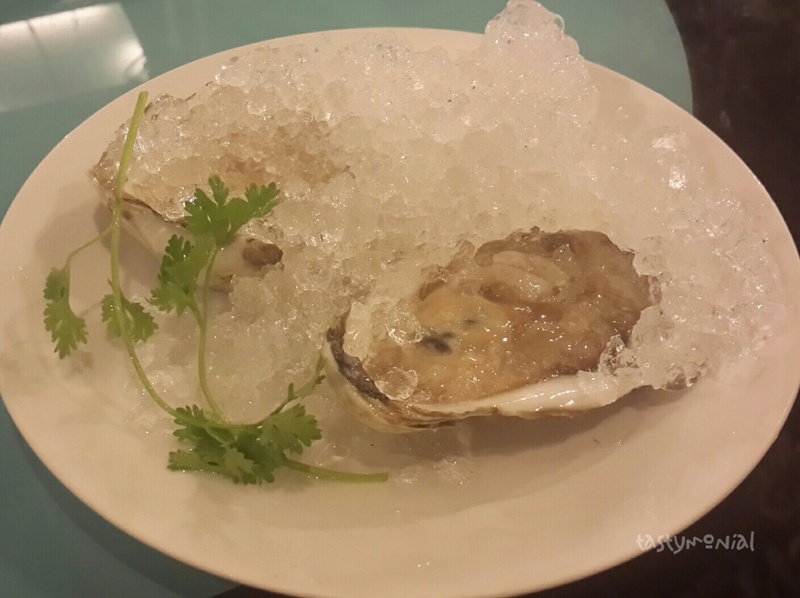 I prefer fresh oyster, and since it’s cheap here so I ordered it. But I should have known that the price never lie. This oyster is not fresh but was frozen before. I won’t recommend this to anyone. This one is an okay dish. They cooked this too long so the meat is a little dry. That’s too bad though, because the flavor of garlic and butter in this dish is really good. Nothing special I can say about this menu. 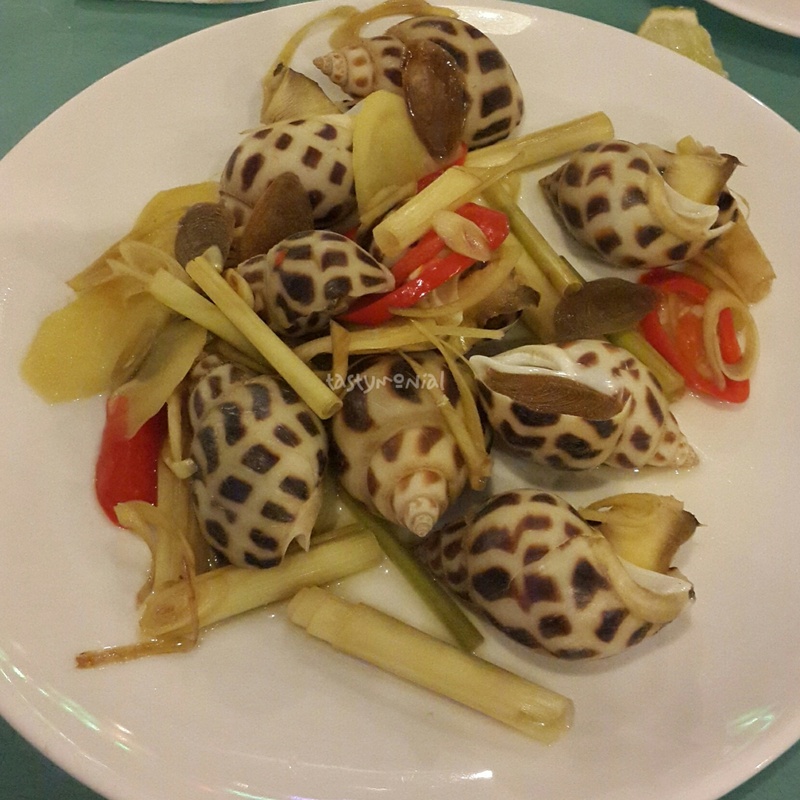 This horn shell only have 1 type of cooking, that is with coconut milk. I don’t know why but in other restaurant I’ve tried only have cooked with coconut milk as well. I like this dish, it has a creamy and soft texture. I don’t like this one, the taste was very plain. The snails were chewy. 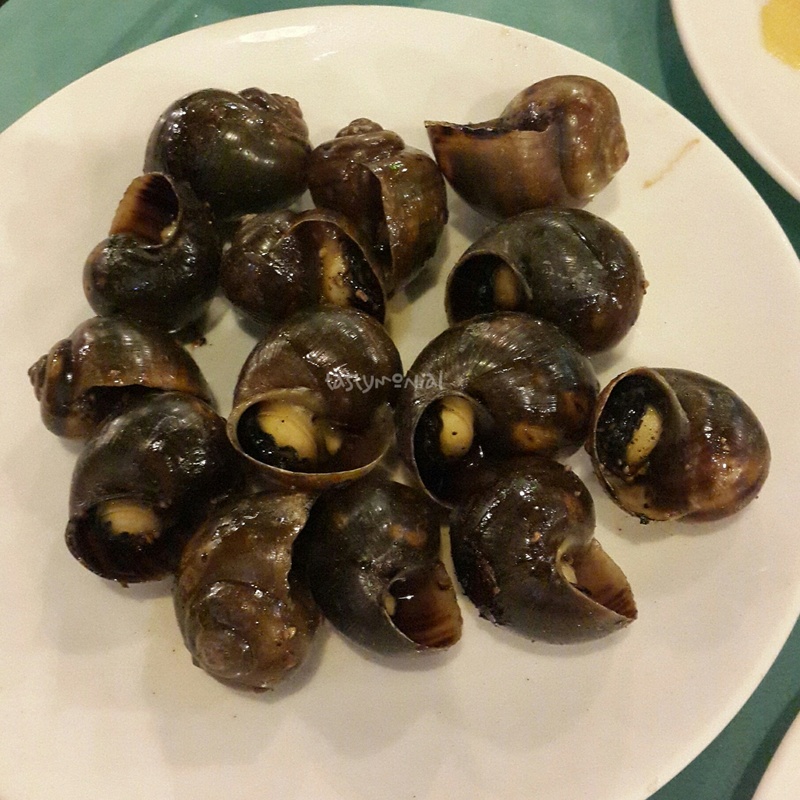 I don’t mind with chewy snail as long as it has flavor, but not this one. So no, I’m not gonna order this one again in the future. Also, this snail has seasonal price. Need to check before order. 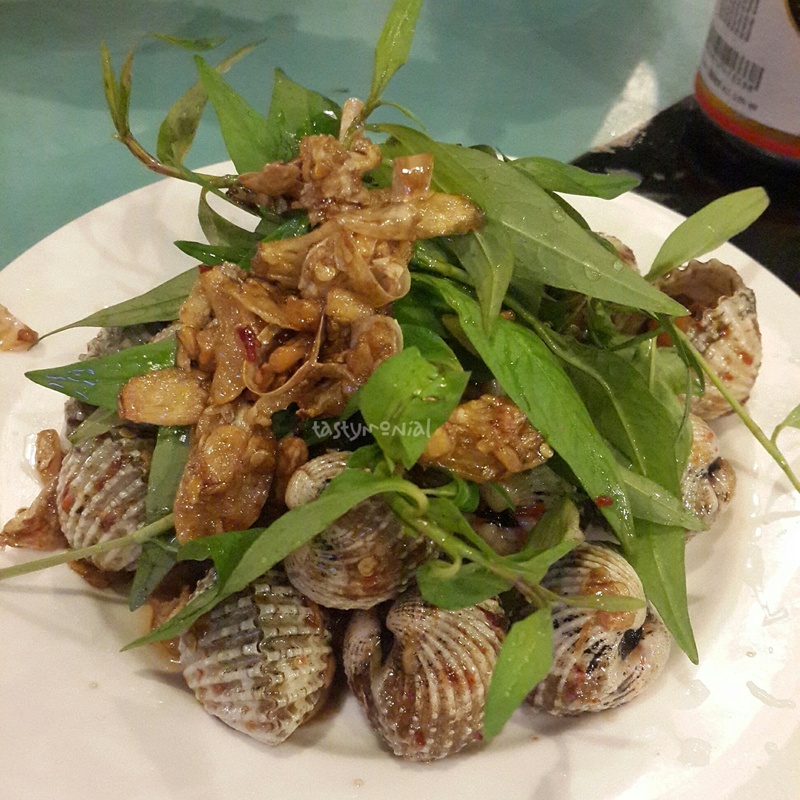 There are other type of cooking for this snail : grilled, stir-fried with Vietnamese cheese, and stir-fried with fresh pineapple. Here in Ho Chi Minh City people likes to order seafood with fried rice. But they don’t eat it together. They usually finish off all seafood then start eating fried rice. I heard from a friend of a friend that they have a good seafood fried rice, so we ordered that on our second visit. It was as I thought, they served us all of our seafood order first, then lastly they served fried rice. The problem was they served it very late for us. We were waiting for more than 15 minutes and it didn’t come out, while other table was getting their fried rice. Maybe there was misunderstanding happened. The waitress told us to wait for 5 minutes, but after 5 minutes nothing served on our table. I was a little annoyed and intended to cancel our order for fried rice but they didn’t allow it. That made me even more annoyed. In the end we asked them to wrap it for take away. For the drink, local people normally drink beer when eating seafood. In case you don’t like beer or just don’t want to drink beer, you have to try their coconut. It was really refreshing! I like it very much. According to my friend (a Vietnamese , most of the people in Ho Chi Minh City prefer to go to the beach when they want to eat seafood, because it’s really fresh. 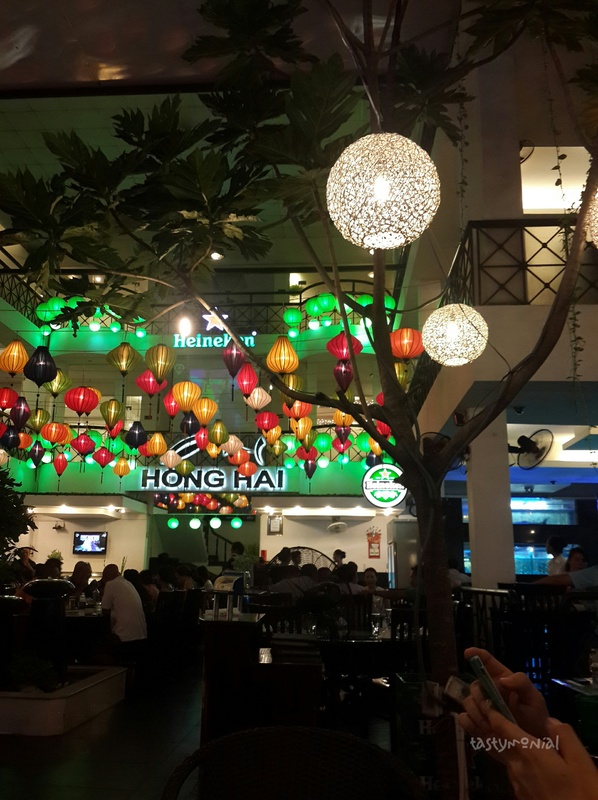 But when I told them about Hong Hai Restaurant they were agreed as well about the quality of food there. Their price is not expensive for a restaurant with that scale. In conclusion, if you want to try Hong Hai I would recommend Blood Cockle stir-fried with crispy fried garlic topped with laska leaves, Medium-sized Escargot grilled with black pepper, and Grilled squid with salt & chili. Take a note that their service is bad when they are busy. For more information, please check their website.